This was the end result of a very large restoration project, in the Slad Valley Stroud. The cornices restored and ceiling roses added. 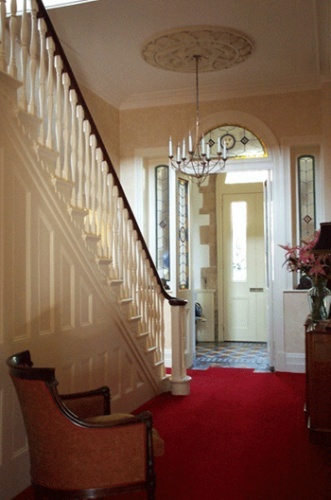 The colours in the entrance hall. where taken from the hand printed wall paper.